Can it be time for the holidays already? We’ve been utterly swamped in 2014 with new products for review, which makes this seventh annual edition of the Drinkhacker holiday gift guide — our “best stuff of the year awards” — all the tougher to produce. As usual, we are looking not just at what the very best release have been over the last 12 months, but also want to help you find the perfect gift for your special someone, whether that’s whiskey, tequila, or any other spirit. As always, the offerings below are but a small selection of our favorite spirits from the last year, but we definitely try to focus on products that are legitimately available. Got alternatives to suggest or gift ideas you think we missed? Chime in in the comments, please! Happy holidays to all of you! As always, thanks for reading the blog! Check this gift guide out in full-color PDF form, perfect for printing out and taking with you holiday shopping. Also check out our 2013, 2012, 2011, 2010, 2009, and 2008 holiday guides. Bourbon – Woodford Reserve Master’s Collection Sonoma-Cutrer Pinot Noir Finish ($100) – Every year Master Distiller Chris Morris puts out a special release of Woodford Reserve — sometimes a wildly different one — and his 2014 experiment is the best he’s ever done. This bourbon takes woody WR and finishes it in fruity Pinot Noir casks, bringing out a whole new side of this Kentucky classic. Just as worthy are two other incredible bourbons from 2014, Wild Turkey Diamond Anniversary Bourbon ($125) and Four Roses 2014 Single Barrel ($80). That’s really just a modest start to an amazing year for Bourbon. There are so, so many good bottlings out there right now. It’s almost hard to pick badly if you can’t find any of these three. Scotch – The Balvenie Tun 1509 Batch 1 ($350) – The sole “A+” rating I gave to any whiskey all year went to Balvenie’s latest Tun release, Tun 1509 Batch 1. The prior Tun series, Tun 1401, also made appearances on our holiday list, but this year Balvenie quadrupled production in order to give more folks out there a shot at actually tracking this stuff down. The quality hasn’t suffered. Whether it’s for you or for dad, go for it. It’s worth it. Other amazing picks worth seeking out: Mortlach Rare Old ($110), Glenfiddich Excellence 26 Years Old ($500), The Exclusive Malts Ledaig 2005 8 Years Old ($110), and The Arran Malt 17 Years Old ($95). Other Whiskey – Green Spot Single Pot Still Irish Whiskey ($50) – This is an amazingly tough category this year, but ultimately I have to go with a whiskey that has enchanted me throughout 2014, the blissfully simple yet gorgeous Irish whiskey Green Spot, which finally made it to our shores this spring and currently stands as one of whiskeydom’s greatest deals. (Watch for Yellow Spot to slowly float over, too.) My close second is Hibiki 21 Years Old ($250). 2014 has been declared by others “the year of Japanese whiskey,” but it’s Hibiki, not Yamazaki, that is putting out the very best stuff right now. This year’s Parker’s Heritage Collection Original Batch Wheat Whiskey 13 Years Old ($90), a wheat whiskey, not a wheated bourbon, is also a standout, as is the ever-exciting Sazerac Rye 18 Year Old ($80). Gin – Genius Gin ($26) – Who’d have thought 2014’s best gin would hail from Austin, Texas? Get the standard edition. The Navy Strength is less refined. Overall a weak year for gins, other recommended bottlings include Beefeater Burrough’s Reserve Barrel Finished Gin ($70) and The 86 Co. Ford’s Gin ($30/1 liter). Vodka – Re:Find Cucumber Vodka ($25/375ml) – Vodka’s never a thrilling category (or much of a gift), but spending 25 bucks on this best-ever cucumber vodka is not a bad way to fill a stocking. Other top picks include the Vodka DSP CA 162 line (each $38), made by the former crew behind Hangar One, Santa Fe Spirits Expedition America West Vodka ($25), and Bluewater Organic Vodka ($27). Rum – Vizcaya VXOP Cask No. 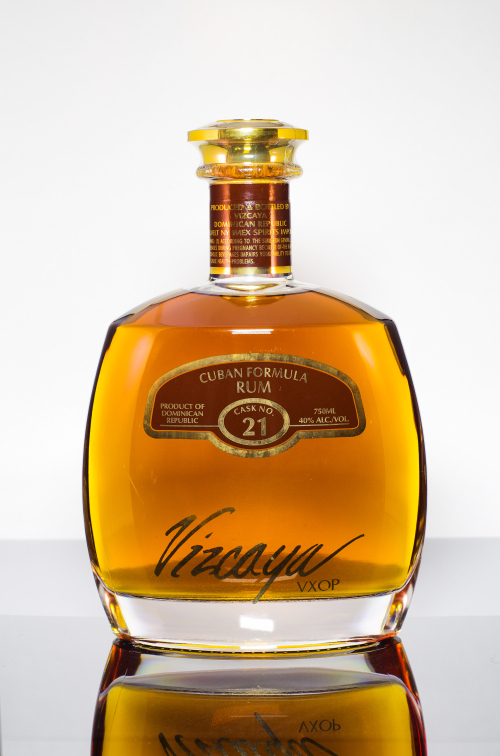 21 Cuban Formula Rum ($40) – Fascinating rums have been in short supply of late (I’m presuming you can’t find a way to get Havana Club where you live), but this Dominican rum is a killer bottling. Also highly recommended is Bacardi’s boutique bottling of Facundo Exquisito ($120), which runs up to 23 years old. Brandy – Charbay Brandy No. 89 ($92) – This craft brandy from Charbay, distilled 26 years ago, is a killer that can go toe to toe with any Cognac. Louis Royer Force 53 VSOP ($43) is also a fabulous spirit and a great bargain. Tequila – Roca Patron Reposado ($80) – The typically breakneck pace of tequila releases slowed down in 2014. Patron’s new higher-end bottling, particularly the reposado, was my favorite. Also standing out were Tequila Herradura Coleccion de la Casa Scotch Cask Finished Reposado Reserva 2014 ($90) and the festive KAH Tequila line ($45 to $60), which tastes as good as its bottles look. High-end mezcal fans should run, not walk, to Del Maguey Iberico Mezcal ($250). Liqueur – Ancho Reyes Ancho Chile Liqueur ($33) – From the first time I tasted this, I knew it would be the Drinkhacker liqueur of the year. Ancho chile is so distinctive and unique, and these guys do amazing work with it in alco-form. Try it in, well, anything. Other excellent giftworthy liqueurs include Perc Coffee Liqueur ($28), Barrow’s Intense Ginger ($31), and the new Wild Turkey American Honey Sting ($23) — technically a flavored whiskey, but which drinks more like a liqueur. Need another custom gift idea (or have a different budget)? Drop me a line or leave a comment here and I’ll offer my best advice!